Former Ketchum Planning and Zoning Commissioner Anne Corrock has kicked off her campaign for election to the Ketchum City Council, saying city government needs to listen to its citizens more. Corrock works as a hairdresser and has lived in Ketchum for 43 years. She has run for the office unsuccessfully twice before, the last time eight years ago. Corrock served five years on the Planning and Zoning Commission, one year as chair in 2007. In 2012, she served on the Ketchum Comprehensive Plan Advisory Board. 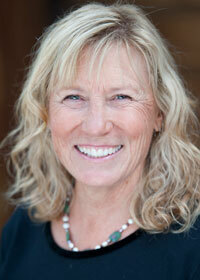 Corrock said that if elected, she will focus on motivating Ketchum residents to collaborate with the city government. “My platform is primarily based around listening to the community,” she said. “They are the strongest consultants on all the issues in front of us. We are primarily a tourist-based economy. We all moved here because we love it and we all know what makes this place so great. The people of Ketchum are our greatest asset. Corrock said she also wants to work on improving the relationship between the Ketchum and Sun Valley city governments. Additionally, Corrock said she wants to help create more opportunities to attract new businesses. Corrock was a member of the U.S. Ski Team for three years and taught for the Sun Valley Snow Sports School from 1978 to 1979 and from 1992 to 2002.